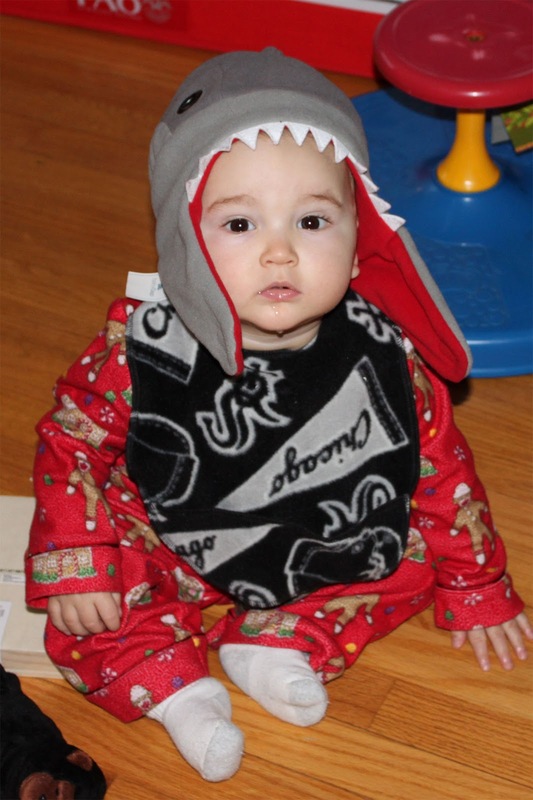 And baby Worth sporting his White Socks bib (I did sew that, but it was before I knew we were moving) and shark hat. The hat has a story. I finished most of my shopping as soon as I found out we were moving, wrapped up the gifts, then sent them off to Nana’s. I blogged about that at the time. But of course my early shopping did not account for closer-to-Christmas requests from Dorothy. 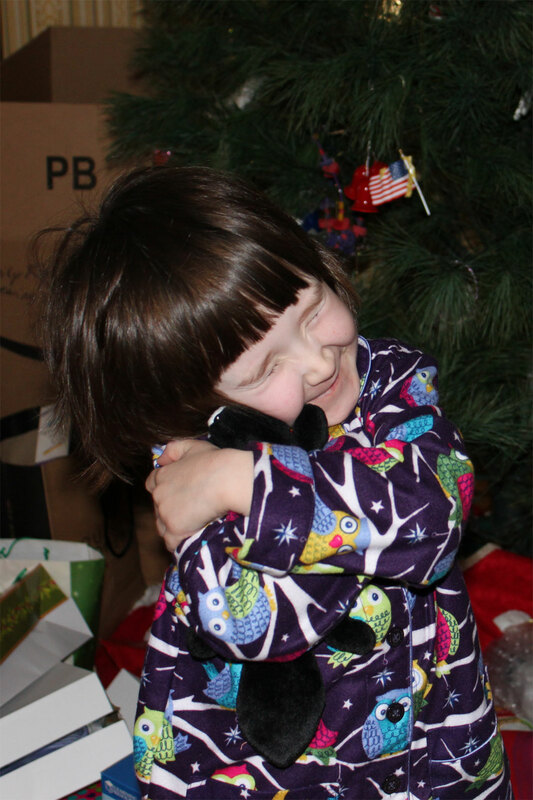 I could not have predicted that the item she would get her heart most set on receiving from Santa Claus was a shark hat and mitten set that matches those owned by her little preschool crush. I had to e-mail the boy’s mother to ask where she’d gotten them, then get myself to the Gap in the midst of all our move craziness to secure the hat. Fortunately, the store did have exactly two hats left when I got there–one in Dorothy’s size and one in Worth’s, so of course I bought them both. If I’m buying my daughter a shark hat from the boys’ department, why not also purchase one for my son? Dorothy was extremely happy with her her new shark gear and has mentioned several times how she and her little friend will now have matching hats on the playground. I’m totally charmed that 4-year-old love is taking the form of identical fleece hats in the form of marine predators. I’m also totally into the hats myself–they are so unexpected on both my pink-clad daughter and my rosy-cheeked baby. The kids kept getting pawed at and cooed over by strangers at Costco today. Who knew that shark hats could be such a thing? I’ll post more house photos soon! I’m probably going to spend the rest of the winter on befores and afters, kind of like the camper, but first I just need to get more boxes unpacked. A planned trip to IKEA later this week should help me with some needed storage; right now I’m a bit stymied by not having the right places to put the things I’m unpacking. Love the Dorothy and skunk photo. Such happiness. 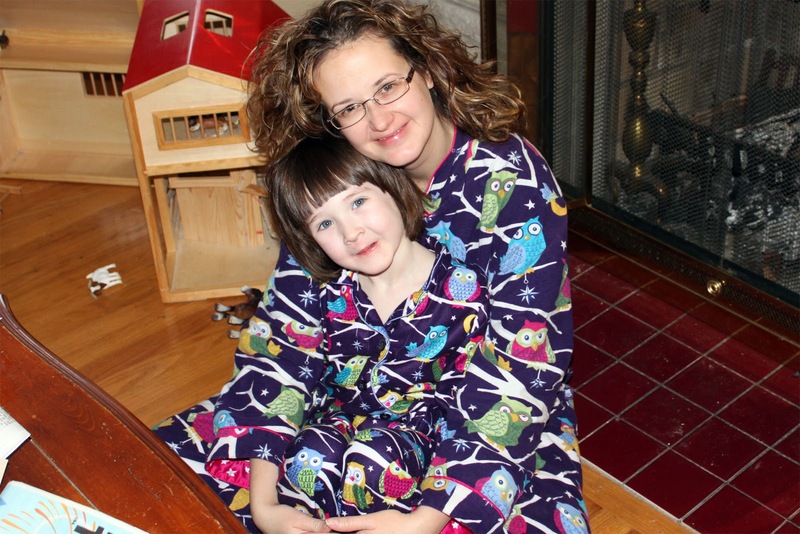 And I love the pajamas…I bought Lucy the same pair…had I only known they made them in adult sizes too!